DraftCode includes standard open source PHP (v5.6.30 and v7.2.12*) with all typically available PHP extensions like MySQL, SQLite, PDO, Curl, GD*, OpenSSL, FTP, XML, JSON, SOAP and more (A complete phpinfo output is available on our website). All code execution happens right inside DraftCode and therefore works completely offline. DraftCode's runtime behaves exactly like your normal webserver environment, handles cookies, sessions, POST/GET/PUT, but is faster and more tightly integrated for development purposes. 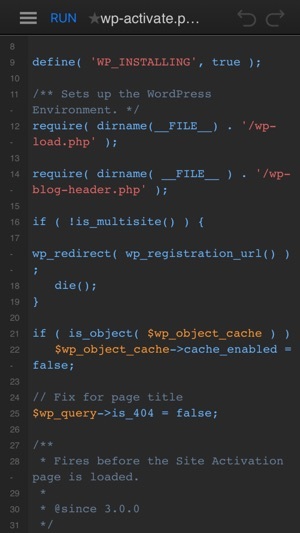 During execution the DraftCode runtime allows inspection of session content or PHP errors, highlights lines causing PHP errors back in the code editor and lets you switch between different PHP versions easily. DraftCode optionally lets you run your code fullscreen in a Kiosk mode, or execute PHP files as "scripts" without a web context. 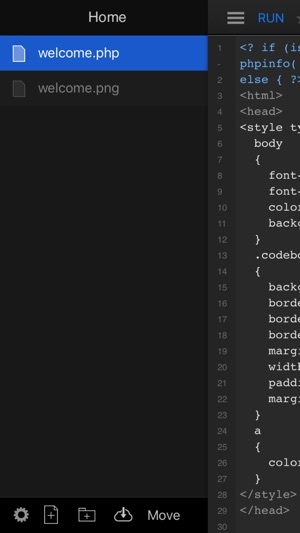 DraftCode includes a code editor with PHP and JS syntax coloring in a dark and light colour scheme, and adjustable font size. Keyboard extensions that offer quick access to common code snippets and characters help the coding process with the on-screen keyboard. Import your existing projects as zip archives, individual files or folders from other Apps via "Open in..." or via the Document Picker which gives access to all available file locations including iCloud. Import is also supported via iTunes file sharing. DraftCode lets you manage files and folders in your workspace including moving, renaming, zip/unzip, duplication, and sending files to other iOS applications or iCloud Drive. DraftCode fully supports multitasking, split screen and working with an external keyboard, including keyboard shortcuts. DraftCode natively supports all resolutions of iPhones, iPads and iPad Pros. DraftCode includes standard WordPress 4 as an installable package. 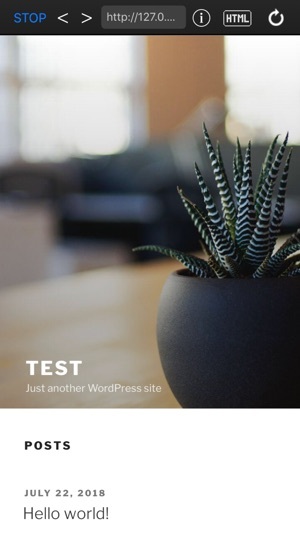 With just one tap you can run WordPress offline and develop themes and plugins for the popular platform. 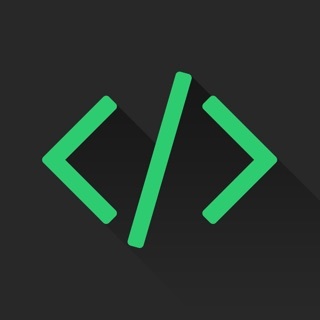 DraftCode includes phpMyAdmin as an installable package to connect to external MySQL databases. DraftCode includes phpLiteAdmin as an installable package to manage and investigate local SQLite databases. For more information and answers to frequently asked questions please head over to DraftCode's website. Great start but iOS falls short? Ok, l know this is a huge undertaking and iOS is severely limited so far as a development tool. 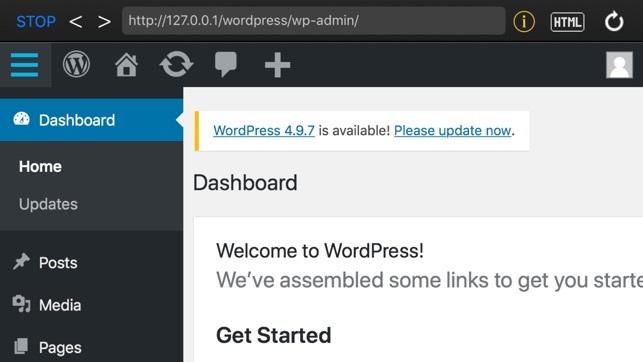 What issue this app seems to suffer from is as a developer, I can’t really work on a plugin in WordPress while WP is running. Pretty ineffective to have to start and stop WP each time to edit a file and then see the result rendered. Update: I contacted the developer and he has been VERY responsive to my concerns. He has provided some ideas for workflow that seem acceptable. Running web apps on iOS is no small feat. My hope is that this app will be well supported and the product will continue to be updated. I use it to learn PHP and web development while commuting. Not sure how well it would support a production environment. I want to start learning Laravel too and I am not sure it can be accommodated in this environment. I am amazed at what they did get working in iOS and the product interface is really good and is fast.